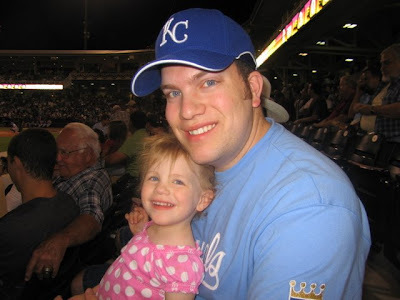 Back in March, we went to go see the Royals play at their Spring Training home of Surprise, Arizona. They had a bit of a comeback in their win against the Dodgers that day as well, although not quite as dramatic, and not as late in the game, but I was there to enjoy it. Zack Greinke is amazing. He’s got a Sports Illustrated Cover, his walks are down, his strikeouts are up, and he sports a nasty slider. More people are watching. You may have even seen them on ESPN this season, especially for that long stretch when they were in first place. They have a newly renovated stadium. Even with injuries to key players like Alex Gordon, they have a real Major League-level lineup, instead of Tony Pena or Ross Gload every day. There are lots more changes as well, but they all add up to one thing: excitement. That’s something that hasn’t been around much for Royals fans since 2003, but it’s been steadily rising in the last year and a half. If you ask me, that’s a formula for a fun summer. This entry was posted in FeFNet on Wednesday, May 20, 2009 by Alex.